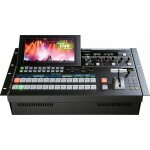 The Roland V-60HD Multi-Format HD Video Switcher is a true multi-format video switcher, me.. 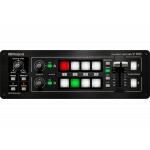 The P-10 is one of the popular Roland PR Video Presenter Series. 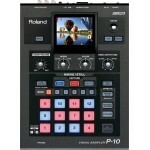 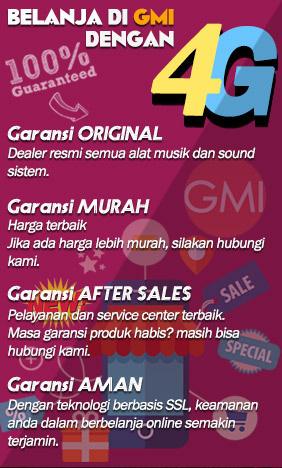 The P-10 Visual Sampler i.. 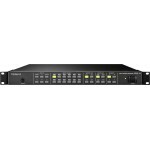 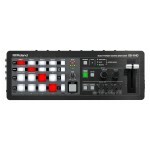 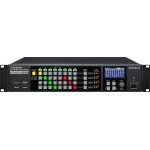 The Roland XS-84H 8x4 Multi-Format AV Matrix Switcher is designed for fixed installati.. 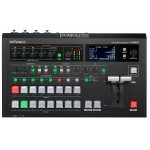 The Roland XS-1HD Multi-Format Matrix Switcher is a table-top unit roughly the width of a 13'' lapto.. 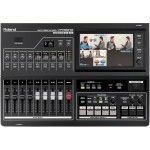 Mix up to four video sources at up to 1080p resolution with the Roland V-1HD video mixer. 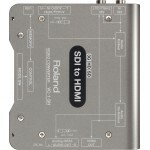 Four HDMI ..
Roland's V-1SDI 4-Channel HD Video Switcher supports HD-only video signals over three of it.. 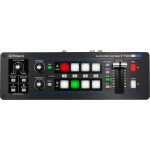 The Roland VC-1-SH SDI to HDMI Video Converter allows SDI video to be monitored using ..
AN ALL-IN-ONE HD MULTI-FORMAT AV MIXER WITH BUILT-IN USB 3.0 FOR WEB STREAMING AND RECORDING A comp..
AN ALL-IN-ONE MULTI-CHANNEL, MULTI-FORMAT LIVE VIDEO SWITCHER The V-1600HD Live Video Switcher is..
MULTI-VIEWER WITH SIMPLE MATRIX SWITCHER FOR CONVENIENT VIDEO MONITORING The MVS-12 groups and ..
ALL-IN-ONE SD VIDEO MIXER WITH HDMI IN/OUT, USB STREAMING OUT, AND BUILT-IN MULTIVIEWER WITH TOUCH C.. 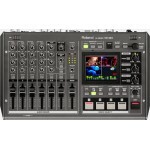 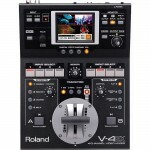 THE V-8 IS THE NATURAL EVOLUTION OF THE LEGENDARY V-4 FOUR-CHANNEL VIDEO MIXER The V-8 offers a..